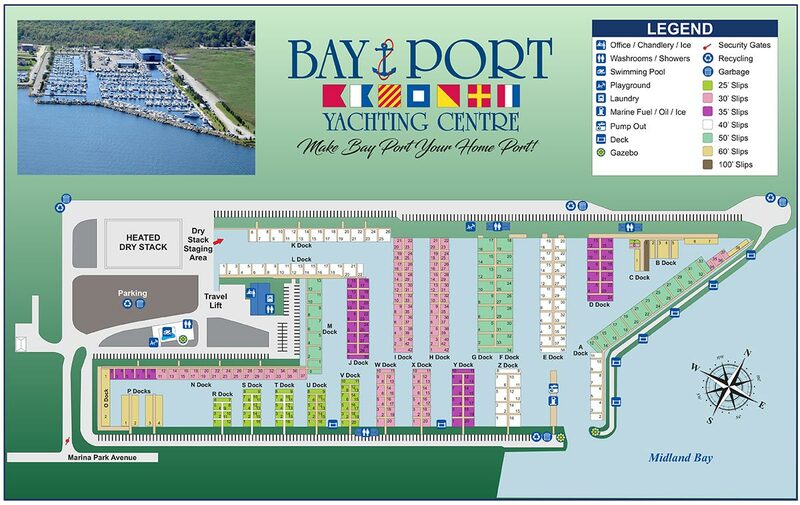 Bay Port Yachting Centre offers overnight, weekly, monthly, and full season dockage and has accommodation for over 700 vessels up to 100 feet in length. The marina features over 480 docks with shore power, dock lights, municipal water, and complimentary WiFi. 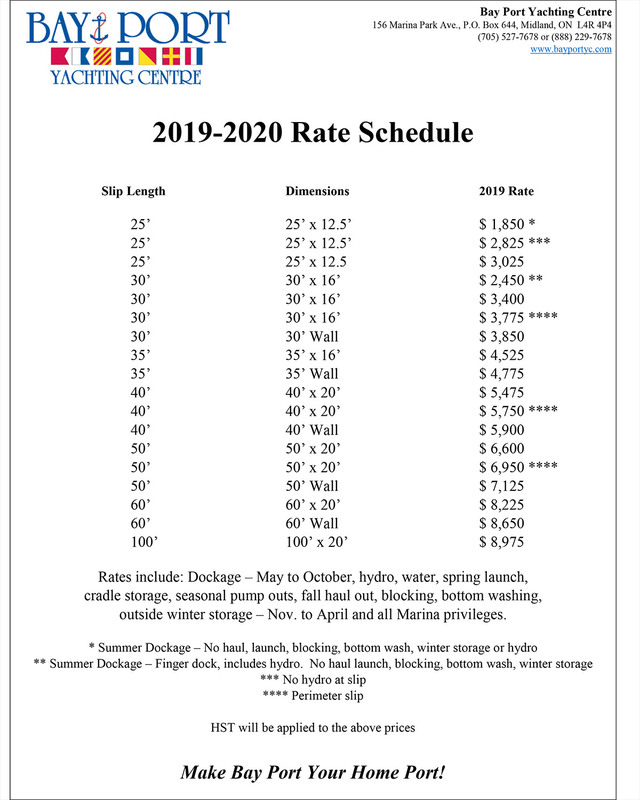 Our annual dockage includes: Dockage – April to October, hydro, water, spring launch, fuel discounts, cradle storage, seasonal pump outs, fall haul out, blocking, bottom washing, outside winter storage – November to April and all Marina privileges. Georgian Bay summers are beautiful and meant to be enjoyed with your family and friends on the water! Let us help you make the most of your quality time. As a summer dockage member at Bay Port, enjoy all marina amenities, events and fuel discount. We welcome you and your family to join us at Bay Port, whether you are a boater at one of our sister marinas or just passing through on your journey. Come enjoy what Bay Port has to offer. 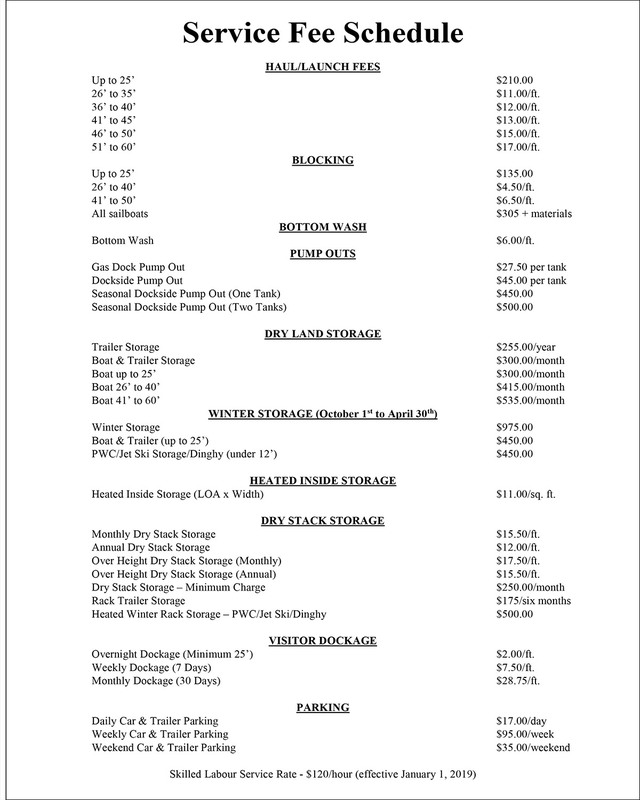 Overnight Dockage (Mimimum 25’) $2.00/ft. Phone ahead and make a reservation or simply drop in, we can accommodate you whether it’s just for the night or staying for the month!